Available as a free download PDF in two parts. Download PDF: Part 1 (8 MB) | Part 2 (8 MB). A brief study guide with a the focus on the “maroons,” those Africans who escaped slavery and established independent communities within colonial Latin America. The specific study is of the history and culture of Esmeraldas, a province in northwestern Ecuador where African traditions can still be seen and felt. 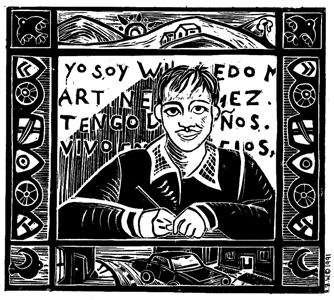 The publication was created to coincide with the March-April 1993 U.S. tour of Juan Garcia Salazar, an Afro-Ecuadorian who collects and studies oral poetry, myths, rituals, folk medicine, music and household artifacts of Afro-Ecuadorian communities. 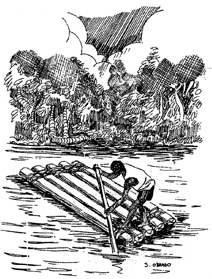 One short story from Ecuador in both Spanish and English is included. Available as a free PDF download. Available as a free downloadable PDF in four parts. Download PDF: Part 1 (11 MB) | Part 2 (8 MB) | Part 3 (7 MB) | Part 4 (10 MB). Short story and study guide for secondary social studies, English, Spanish and advanced ESL classes. Song lyrics (some in Spanish) with annotations, teaching ideas and resource guide to help use songs in an interdisciplinary approach to history, language arts and music. 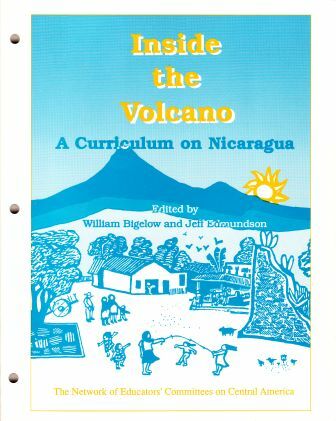 Original edition by the Los Angeles Teachers’ Committee on Central America. Adapted from Got Me a Story To Tell, edited by Sylvia Yee and Kisa Kokin, 1977. 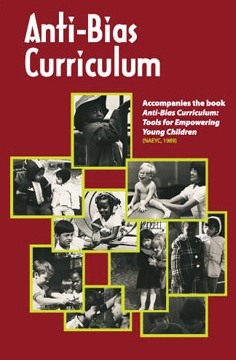 This edition was published by Teaching for Change. View for free right here on our website. This film, produced as a companion to the Anti-Bias Curriculum book, now Anti-Bias Education, includes interviews with educators about themes addressed in the book, and scenes from the classroom of anti-bias education in action. Although the classroom scenes were filmed in the late 1980s, they still provide very useful examples for professional development, reflection, and dialogue. Watch now. 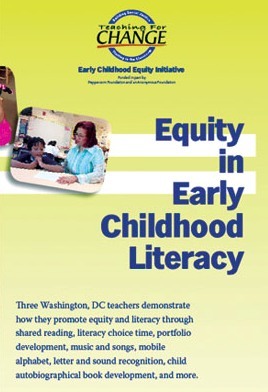 Three Washington, D.C. teachers demonstrate how they promote equity and literacy through shared reading, literacy choice time, portfolio development, music and songs, mobile alphabet, letter and sound recognition, child autobiographical book development, and more. Buy now. 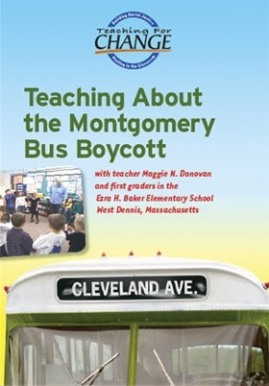 First grade teacher Maggie Nolan Donovan (SNCC veteran) introduces her students to the desegregation of the buses, placing Rosa Parks in the context of the larger community efforts. The lesson involves families, promotes literacy, and culminates with a student-authored play. It is one of the best examples on film of how to teach a people’s history of the Civil Rights Movement to young children. Filmed at Ezra H. Baker Elementary School, West Dennis, Massachusetts. Production by David Hopwood. Funded by LEARN, a federally funded PT3 Project. Watch now. 2000. 54 slides + 10 pp. script. 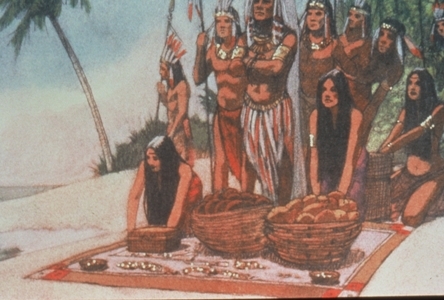 This PowerPoint and script provide a critique of the story of the “discovery of America” as it is told in children’s literature and textbooks. This PowerPoint is ideal for workshops for teachers or students on critiquing bias in textbooks and literature. The DVD contains 54 images in a PowerPoint format, and a ten page printable guide. The student textbook examines the courageous efforts of some “unsung heroes” who toppled barriers in education, voting, employment, housing, and other areas to participate more fully in democracy. The book contains stories of women and men who crossed ethnic, racial, religious, and other divides to help further the cause of justice. 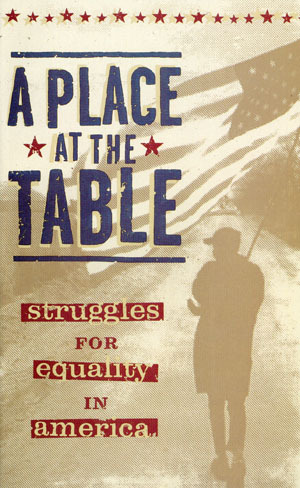 Receive a copy of A Place at the Table with a donation of $10 or more to Teaching for Change. Available for sale on our webstore as individual sets or class sets of 25. Available for sale on our webstore. 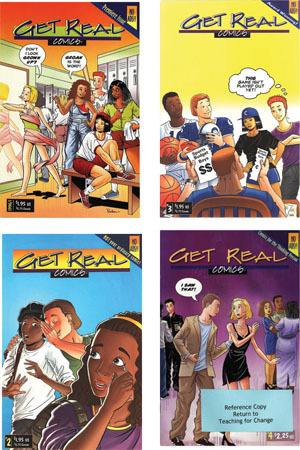 The Get Real Comics is an ad-free, award-winning series that helps kids 8-14 explore issues such as gender, sexuality, self-esteem, race, violence, friendship, and family. Available for sale as individual set of 4 or class sets of 25. Read more. 54 pages and 24 min. 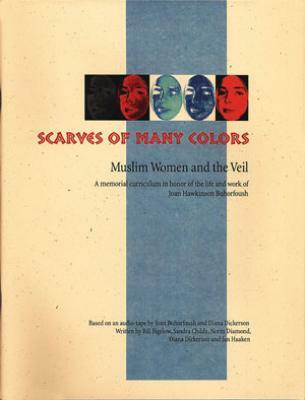 This award-winning CD and an accompanying curriculum engage students in thinking critically about stereotypes of “covered” Islamic women. The audiotape introduces a range of U.S. and Middle Eastern women who tell stories and offer insight. The curriculum offers four classroom-tested lessons, including an excellent role play/tribunal on “Women and the Veil,” with accompanying student handouts. Ideal for Global Studies, psychology, sociology, women’s studies, world history, or teacher education. Unfortunately, this title is out of print.